News from LMCU: Calling All Hockey Fans! 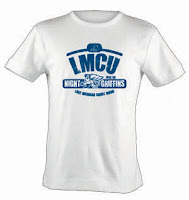 Tickets are on sale for the 9th annual Lake Michigan Credit Union Night with the Griffins! The game is Saturday, February 4 at 7 P.M. at Van Andel Arena. The Griffins will be taking on the Hamilton Bulldogs. Tickets are $11 for Upper Bowl seats and $15 for Lower Bowl seats. The purchase of either ticket includes entrance to the game, a FREE $3 food voucher and a FREE LMCU/ Griffins t-shirt! Tickets are on sale now at all branches. For more information visit lmcu.org or stop by any of our 32 branches.